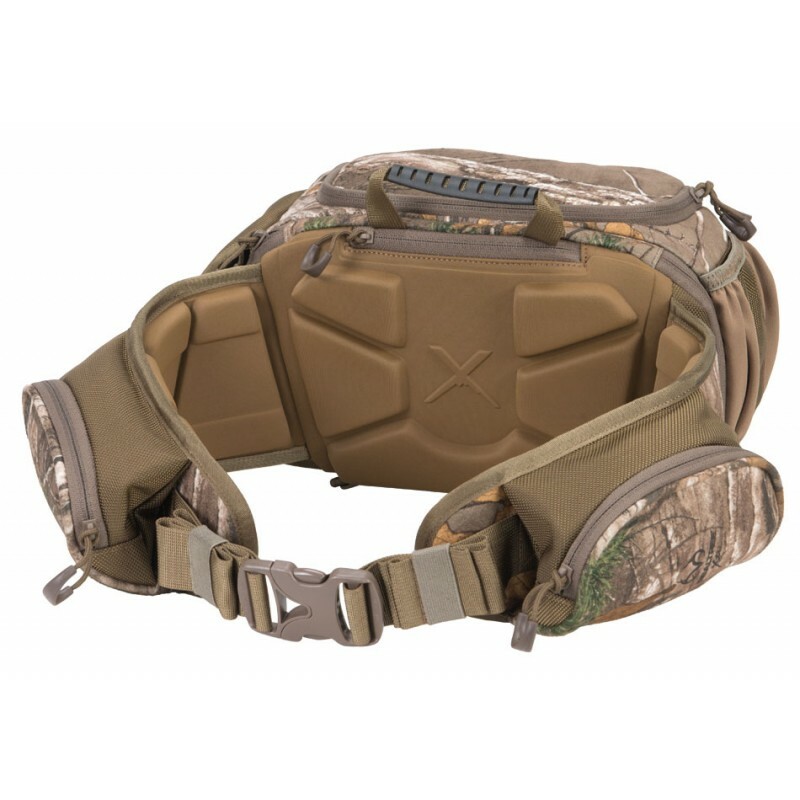 Constructed using super durable 1680D Nylon ballistic fabric for unmatched strength. A clear cell phone pocket is implemented into the inside of the main compartment, and allows you to use your phone without removing it from this sleeve. 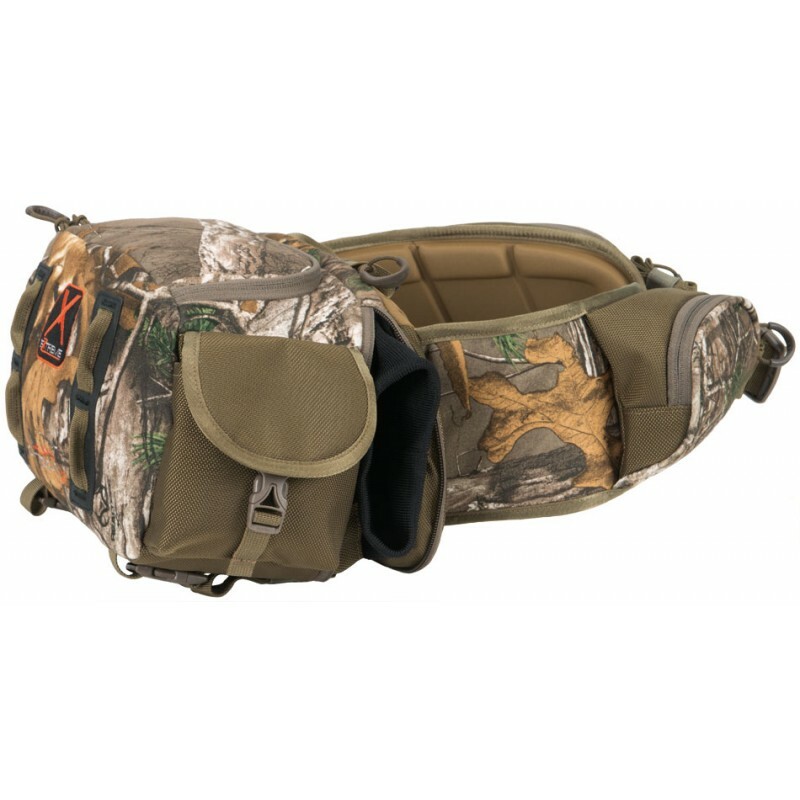 Internal organizational compartments help you keep all of your hunting accessories separated. Includes 4 slate call sized pockets. 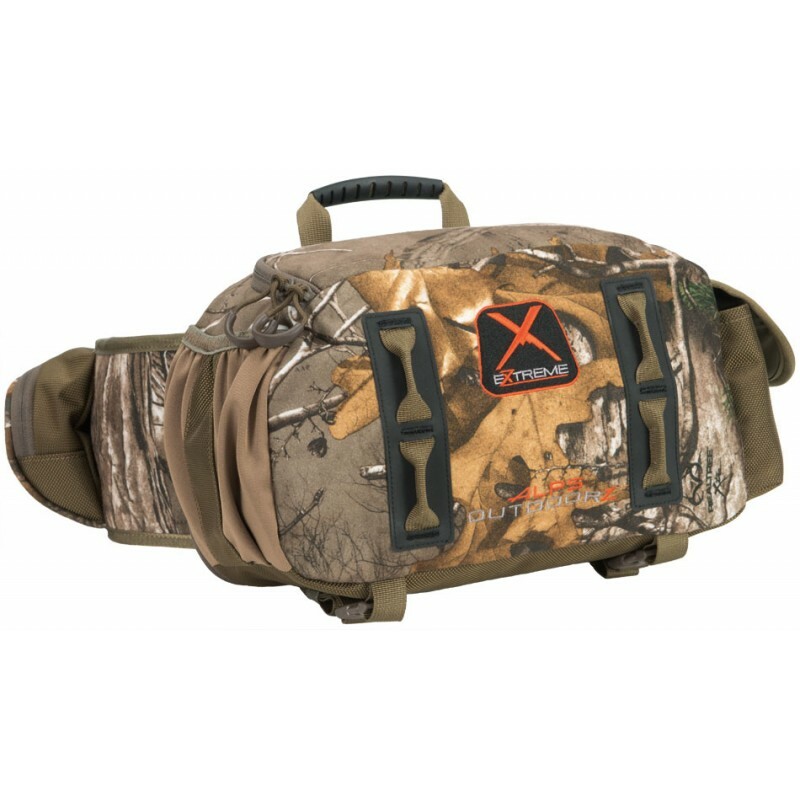 The molded foam waist belt and back panel are incredibly comfortable, while the hidden expandable hand warmer pocket is perfect for those extra chilly days in the field.